1698, Hungary, Emperor Leopold I “the Hogmouth”. 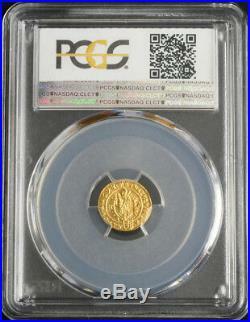 Gold 1/6 Ducat Coin. 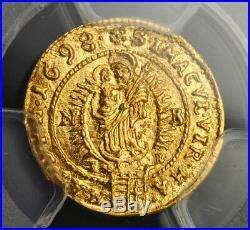 Mint Year: 1698 Denomination: 1/6 Ducat Mint Official: J. Mint Place: Nagybanya (N-B) Ruler: Leopold I “the Hogmouth”. Reference: Friedberg 154, KM-189. 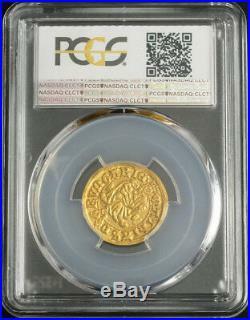 Certified and graded by PCGS as MS-66 None higher or equal at PCGS and only one in this designation at NGC! Diameter: 13mm Weight: 0.57gm Material: Silver. Obverse: Wreathed and draped bust of Emperor Leopold I right. Fractional ducat value (1/6) in legend below shoulder. Reverse: The Virgin (Madonna) and baby-Jesus child standing on crescent, surrounded by light. Mint initials (N-B) and mint offiicial´s letters (I-B) at sides. Crowned Hungarian arms splitting legend below. Leopold I, Holy Roman Emperor name in full. Leopold Ignaz Joseph Balthasar Felician. Habsburg (June 9, 1640 May 5, 1705), Holy Roman emperor, was the second son of the emperor Ferdinand III and his first wife Maria Anna of Spain. His maternal grandparents were Philip III of Spain and Margarita of Austria. He was a younger brother of Ferdinand IV of Hungary and Mariana of Austria. Intended for the Church, he received a good education but his prospects were changed by the death of his elder brother Ferdinand IV, on July 9, 1654 of smallpox, when he became his father’s heir. Leopold was physically unprepossessing. Short and sickly, he had inherited the Habsburg lip to a degree unusual even in his inbred family. One contemporary said of him “His gait was stately, slow and deliberate; his air pensive, his address awkward, his manner uncouth, his disposition cold and phlegmatic”. In 1655 he was chosen king of Hungary and in 1656 king of Bohemia, 1657 king of Croatia and in July 1658, more than a year after his father’s death, he was elected emperor at Frankfurt in spite of the intrigues of Jules Cardinal Mazarin, who wished to place on the imperial throne Ferdinand Maria, Elector of Bavaria or some other prince whose elevation would break the Habsburg succession. Mazarin, however, obtained a promise from the new emperor that he would not send assistance to Spain, then at war with France, and, by joining a confederation of German princes, called the league of the Rhine, France secured a certain influence in the internal affairs of Germany. Leopold’s long reign covers one of the most important periods of European history; for nearly the whole of its forty-seven years he was pitted against Louis XIV of France, whose dominant personality completely overshadowed Leopold. The emperor was not himself a man of war, and never led his troops in person; yet the greater part of his public life was spent in arranging and directing wars. The first was with Sweden, whose king Charles X found a useful ally in the prince of Transylvania, György II Rákóczi, a rebellious vassal of the Hungarian crown. This war, a legacy of the last reign, was waged by Leopold as the ally of Poland until peace was made at Oliva in 1660. A more dangerous foe next entered the lists. The Ottoman Empire interfered in the affairs of Transylvania, always an unruly district, and this interference brought on a war with the Holy Roman Empire, which after some desultory operations really began in 1663. By a personal appeal to the diet at Regensburg Leopold induced the princes to send assistance for the campaign; troops were also sent by France, and in August 1664 the great imperialist general, Raimondo Montecuccoli, gained a notable victory at Saint Gotthard. By the Peace of Vasvár the emperor made a twenty years’ truce with the sultan, granting more generous terms than his recent victory seemed to render necessary. 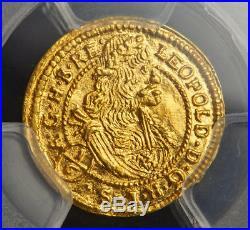 The item “1698, Hungary, Emperor Leopold I the Hogmouth. 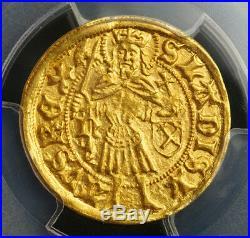 Gold 1/6 Ducat Coin. 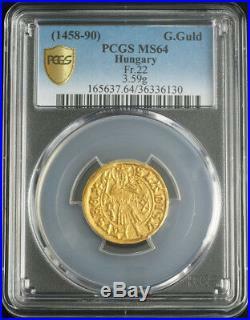 PCGS MS66″ is in sale since Wednesday, December 19, 2018. 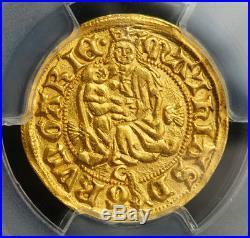 This item is in the category “Coins & Paper Money\Coins\ World\Gold”. The seller is “coinworldtv” and is located in Europe. This item can be shipped worldwide. 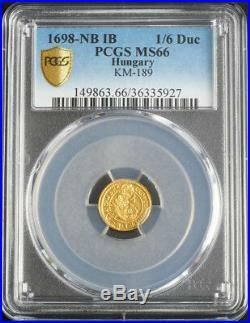 This entry was posted in hungary and tagged coin, ducat, emperor, gold, hogmouth, hungary, leopold, ms66, pcgs.